Allan Huber Selig was born on 30 July 1934, in Milwaukee, Wisconsin USA, of Romanian and Ukranian descent. Bud is a baseball executive, best known for being the Commissioner Emeritus of Baseball. He was the ninth Commissioner of Baseball, holding the position from 1998 to 2015. He was responsible for a lot of changes in the system of professional baseball, and all of his efforts have helped put his net worth to where it is today. How rich is Bud Selig? As of mid-2016, sources estimate a net worth that is at $400 million, mostly earned through a successful career as a baseball executive. He’s responsible for merging the National and American Leagues, and during his tenure he increased the revenue of the MLB by over 400%. He was a previous team owner of the Milwaukee Brewers. All of these have ensured the position of his wealth. Selig attended the University of Wisconsin-Madison, graduating with a degree in American History and Political Science during 1956. After school, he served in the US Army for two years and then worked at a car leasing business owned by his father. However, ever since he was young, he had an interest in baseball that was influenced by his mother – he was often taken to various baseball games, and watched the Milwaukee Brewers which Selig would become highly invested in. He became a minority owner of the Milwaukee Braves and would fight to keep the team in Milwaukee until the team eventually moved to Atlanta in 1965. After the team left, he would endeavor to have major league games in Milwaukee and arranged for league games to be played at the Milwaukee County Stadium. The events would become highly successful and Selig would try to purchase the White Sox to move, but it was vetoed by the American League. He finally found a team to move to Milwaukee in 1970 when he purchased the Seattle Pilots, and renamed them as the Milwaukee Brewers. He became the club president and was responsible for helping them finish at the top of the American League East. In 1982, the team would make it to the World Series and Selig would help the Brewers become one of the best organizations in professional baseball. His role was eventually taken up by his daughter, Wendy Selig-Prieb when he was called up for the commissioners role. After the resignation of Fay Vincent in 1992, Selig became the de facto acting commissioner and immediately went on to institute the Wild Card system, which proved to be controversial at first, but was eventually accepted. He also went on to ban Cincinnati Reds owner Marge Schott for racial remarks and actions. He represented the MLB during the 1994 players’ strike, which led to the cancellation of the World Series. In 1998, he officially became the new baseball commissioner, and implemented inter league play, and ultimately merged the National and American Leagues under the Commissioner’s Office. During his tenure, games were postponed because of the September 11 attacks. He also tried to reinvigorate All-Star games by giving home-field advantage for the World Series as a prize to the winning league. One of the biggest issues he tackled was steroids and other performance enhancing drugs; the issue proved to be controversial, and Selig took a lot of flak for not addressing it immediately. 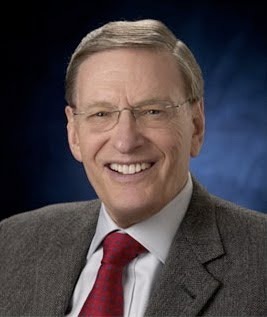 In 2007, a report was released on the use of performance enhancing drugs in baseball, and Selig was highly criticized for his lack of action. In 2006, he announced his retirement as the commissioner of baseball as of 2009, but still went on to handle the role on an extended contract until the end of the 2014 season, after which he assumed his current position as Emeritus Commissioner. For his personal life, it is known that Bud was married to Donna Selig but they divorced in 1976. A year later, he married Suzanne Lappin Steinman, and they have three children. 1 Inducted into the National Baseball Hall of Fame in 2017. 2 Inducted into the New York State Baseball Hall of Fame in 2014. 3 Inducted into the International Jewish Sports Hall of Fame in 2014. 4 Received the 2013 B'nai B'rith Distinguished Humanitarian Award. 5 Is a member of Pi Lambda Phi fraternity. 7 Former used car dealer. 9 Commissioner of Baseball, 9 July 1998 - present (acting commissioner, 9 September 1992 - 8 July 1998).